Dry Eye Syndrome is more than just dry eyes. Do your eyes feel scratchy and look red all the time? Do you rub your eyes constantly to remove the sensation of sand in your eyes? Is it impossible for you to wear contact lenses comfortably? You may be suffering from Dry Eye Syndrome, a condition that can cause symptoms ranging from mild irritation to extreme discomfort or pain. At Lowinger Eyecare North Miami and Miami Lakes, our eye doctors know how to help alleviate your discomfort. Read here for more comprehensive information about Dry Eye Syndrome. Our Dry Eye Specialist Can Help! Drs. Stuart and Marcia Glass will examine your eyes and provide you with an expert diagnosis of your condition. Depending upon the cause of your dry eyes and the severity of your symptoms, we will determine the most suitable treatment for you. While there is no absolute cure for dry eye syndrome, there are many strategies that are effective at bringing relief and controlling the symptoms. More information about the various treatments is available here. 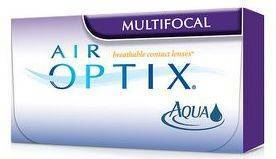 If dry eyes have always prevented you from wearing contact lenses, we may be able to offer a comfortable solution. If you’re interested in wearing contact lenses, we’ll work to find the right option for you. From complete eye examinations to contact lens fittings to treating your dry eyes, Drs. Stuart and Marcia Glass are here to take care of you, your eyes and your vision!